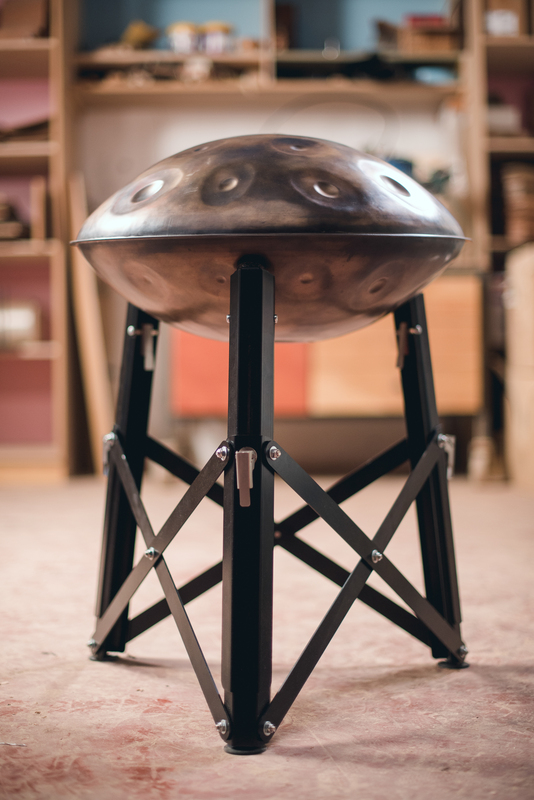 With a number of handpan stands available out there, I’m excited to present the first in my series of handpan stand reviews. Portability: Comes in its own handy, water-resistant bag with an adjustable carrying strap. Appearance: It’s black, which is great for blending in on stage or in videos. Security: It has a secure 3 flip-lock clamping system on the frame, making it very secure. Easy-to-use: Simple to unfold and quick to set up. Stability: It feels really stable, solid and well-made, even when I push hard on the frame or play energetically with my fists: great news for our precious handpans! Practicality: The stand is fully-adjustable in height up to 42cm, which is perfect for playing in a standing or sitting position and a major plus point. It has simple yet clever levers that ‘click’ up and down, either hole by hole or from the lowest to highest position in one quick action. It can be partially opened and secured in a narrower position using the flip-locks, which is great for smaller pans. Also, each leg is adjustable, allowing you to angle the stand towards you or away from you, giving the audience a great view and useful for busking on cobbled or uneven streets. Bonus: It has rubber pads that protect your handpan when placed on the stand, especially useful if you have bottom notes. There are also rubber pads on the bottom of each leg to protect the floor and provide extra grip. Play test: The bottom notes are easy to reach and there’s no reverb, muting or buzz, especially important when your handpan is mic’d up or for sound recordings. 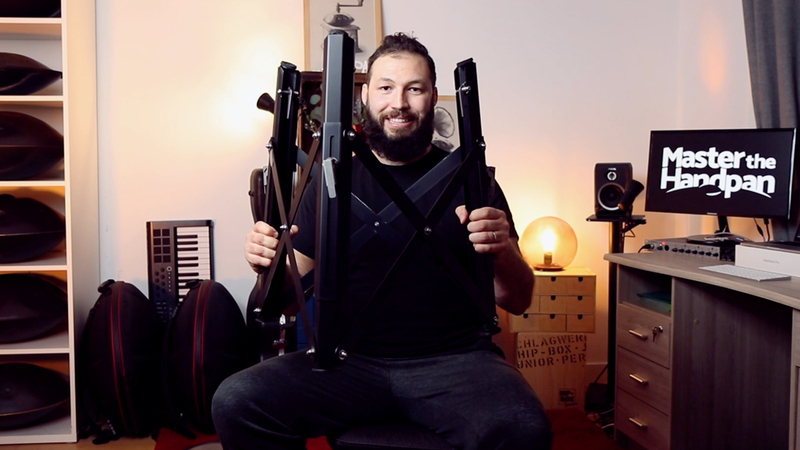 To sum up, it looks good, it’s easy to set up and adjust, it’s secure and steady because of the locks and it’s quick to fold into a portable position. It doesn’t affect the sound quality of your instrument and it provides good access to bottom notes. There’s just one little feature that I would like to see...Although I like the rubber pads, it could be cool to see some adjustable pads in the future, maybe something made of memory foam, so it could mould and adapt better to individual pans. But this is a very very small detail. So, overall, in my opinion the Pantam Stand is a great buy, whether playing at home, on the streets or on stage. I hope you enjoyed my review and if you already own this stand, let us know what you think of it in the comments. Subscribe to my Youtube channel for more of my reviews soon.